Beginning Jan. 1, 2017, school board members will be under new regulations regarding travel expenses. A new law will require school districts, community colleges, and all other local units of government to adopt a resolution that regulates the reimbursement of all travel, meal, and lodging expenses of officers and employees. The Local Government Travel Expense Control Act was signed by Governor Bruce Rauner on July 22, 2016 as Public Act 99-604 (formerly HB 4379) and is effective on Jan. 1, 2017. The full text can be found here. The Act requires school districts to adopt a policy to regulate travel, meal, and lodging expenses of officers and employees, including: the types of official business for which the expenses are allowable, maximum allowable reimbursements, and a standardized form for submission of expenses. It requires that such expenses of school board members be approved by roll call vote in an open meeting and that documentation be received in writing. In PRESS Issue 93 this fall, IASB will update policy 2:125, Board Member Expenses, as well as any other policies affected by the Act. This will provide districts with sufficient time to review the policy updates and have revised policies in place by the Jan. 1 effective date. If you have any questions or concerns, please contact the IASB Office of General Counsel at 630/629-3776, ext. 1219. The Aug. 3 deadline is fast approaching for boards to file an application in IASB’s School Board Governance Recognition program, which recognizes boards that learn and practice effective governance. Boards that meet the requirements receive awards at upcoming fall division meetings for practicing the governance behaviors identified in the Association’s Foundational Principles of Effective Governance, and for participating in IASB programs and activities. The program’s main focus is on full board development and participation rather than individual board member efforts. An application form and checklist on completing it are now available for download here. Additional information and details can also be found in an online tutorial video. Application forms can be obtained here; a YouTube online tutorial video offers details. 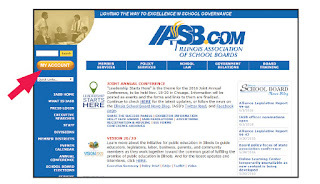 As part of our continuing effort to offer premier membership service and value, the Illinois Association of School Boards has developed a new member database system. Most association members, superintendents and school board secretaries will have received, via email and/or postal mail, a letter with guidelines on using the new system. Click here for resources to assist individuals with navigating and using the new database. The guidance includes tutorial videos, step-by-step instructions, illustrated guides, and FAQ documents and will be update as needed. The purpose of the new member database system is to provide board members, school officials, school districts, and others with the resources, tools, and functionality to effectively transact and monitor how they do business with the Association. The new system will allow district administrators (district staff with the designated authority) to update the district’s contact information, website address, as well as staff and board member information. It will also facilitate event registration, various purchases, and payment of invoices and other transactions. The new database aims to streamline operations, engage members, and develop and deliver services that enhance the member experience. It offers a single sign-in (or log-in) process to allow access to a range of new functions, while still providing the services members have become accustomed too. Register for events, workshops, meetings, and other educational activities. As IASB moves from old association management system to new, we are working to make this transition as smooth as possible for our member districts, as well as others who utilize IASB services. Again, here's the link for online resources. Those needing additional assistance should contact IASB at 217/528-9688, ext. 1100. School officials can join their colleagues to benefit from a wide assortment of presentations at this year’s Carousel of Panels on Saturday, Nov. 19 at the IASB, IASA, and Illinois ASBO Joint Annual Conference. Thirty-three presentations will be offered simultaneously in one room over a one-hour and 45-minute period. 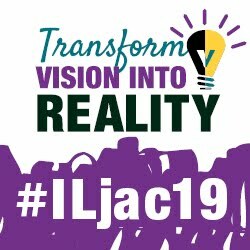 Board members, superintendents, and other Conference attendees will be able to choose to participate in three different panels of 30 minutes each. The event will be held from 1:30 to 3:15 p.m. in Sheraton 4 & 5, Ballroom Level IV, at the Sheraton Grand Chicago hotel. Do You Know the Status of Your School Facilities? Conducting Facility Audits — Eastern Illinois University/FGM Architects, Inc.
Additional information and other Conference updates will be made available on the IASB website, School Board News Blog, and the Association Twitter account. ISBE announced July 11 it will provide the College Board’s SAT exam, including a writing component, at no cost to all public high school juniors during the coming 2016-2017 school year. The SAT will replace the Partnership for Assessment of Readiness for College and Careers (PARCC) as the high school accountability exam in Illinois; students in grades 3-8 will continue to take the PARCC assessment. Like the SAT, the PARCC assessment is aligned with the Illinois Learning Standards. Its results provide educators with data that may be used to provide individualized supports to students while preparing them for mastery of the state standards. “The SAT is also aligned with the Illinois Learning Standards and will continue to empower educators to measure college and career readiness,” said State Superintendent of Education Tony Smith. The SAT will serve as the state assessment for purposes of both state and federal accountability, and will be offered to students during the school day. The SAT provides a college-reportable score for admissions purposes. To view a complete breakdown of state allocations by district, click here. Due to the new Grant Accountability and Transparency Act (GATA) the Illinois State Board of Education (ISBE) has provided a prequalification registration portal that is available online. In order to receive state grants that will be available in fiscal year 2017, all grantees will need to complete the prequalification registration process. ISBE staff will review the registrations and decide if the applicant meets the necessary qualifications. Grantees will receive an email from ISBE once the registration is submitted and will also be notified of any deficiencies detected that can be fixed. Once approved, grantees will be notified by email that their district is in “good standing.” The prequalification registration will only need to be completed once each year. In addition to the pre-qualification registration, those that receive grant funds from ISBE must submit a Program Risk Assessment Questionnaire and a Fiscal Internal Control Questionnaire. The Risk Assessment Questionnaire can be accessed through the IWAS portal, while Internal Control Questionnaire will be emailed to grantees after the prequalification registration is complete. ISBE recently held the Statewide Summit for Bilingual Parents in Oak Brook, IL. More than 1,000 parents and educators from across the state gathered to share their experiences of improved educational outcomes from English Learners (ELs). The event featured fifty-five workshops that were interpreted in eight languages. With the continued growth of ELs within the Illinois school system, ISBE is working to develop additional resources for schools to accommodate changing demographics. The recently completed “Equitable Access to Educational Excellence: Framing Services for English Learning in Illinois” is intended to assists districts in developing effective, researched-based services for K-12 English Learners. Governor Bruce Rauner on Tuesday announced the formation of a state commission to reform the public school funding formula in Illinois. The bipartisan Illinois School Funding Reform Commission will be chaired by Illinois Secretary of Education Beth Purvis. Each legislative caucus will appoint five members to the commission, and the governor will make five additional appointees. Rev. James Meeks, chair of the Illinois State Board of Education, will be a facilitator for the commission and a liaison to ISBE. The roster of individuals serving on the commission was not announced at Tuesday's Chicago press conference. [July 13 update] The list of appointees to the Illinois School Funding Reform Commission is below. The commission will have a goal of presenting funding reform recommendations by February 1, 2017, in order to draft legislation for the spring session to take effect for Fiscal Year 2018. “I am optimistic that we can come to some good conclusions,” said Rauner, who noted the gap of per-pupil spending between wealthy and poor districts, and that the United States is “losing the race” on education. “We have to win this race,” he said. In order for Illinois School Code waiver applications to be decided this fall, school districts generally must get them postmarked and mailed to the state by Aug. 12. Specifically, applications must be sent to the Illinois State Board of Education to be included in the fall 2016 waiver report that is to be submitted to the legislature by Oct. 1. There are exceptions, however: Applications for modifications of the School Code, or for waivers or modifications of the state board’s administrative rules, are not subject to the Aug. 12 deadline. In all cases, however, the process for applying is the same, and approvals must be granted before the waivers can be implemented. Waivers can be sought to modify state mandates and regulations if the school district shows it can meet the intent in a better way, but waivers are not allowed on special education, eligibility of voters in school elections, teacher tenure, or certification or seniority. has granted since waivers were first allowed in 1995. Just 658 were not approved. Applications and instructions are available now. Questions can be directed to ISBE’s Rules and Waivers Division at (217) 782-5270 or email waivers@isbe.net. For more information see this page on ISBE's website. The following are editorials, commentaries, and opinions from various sources regarding public education, collected in June 2016. 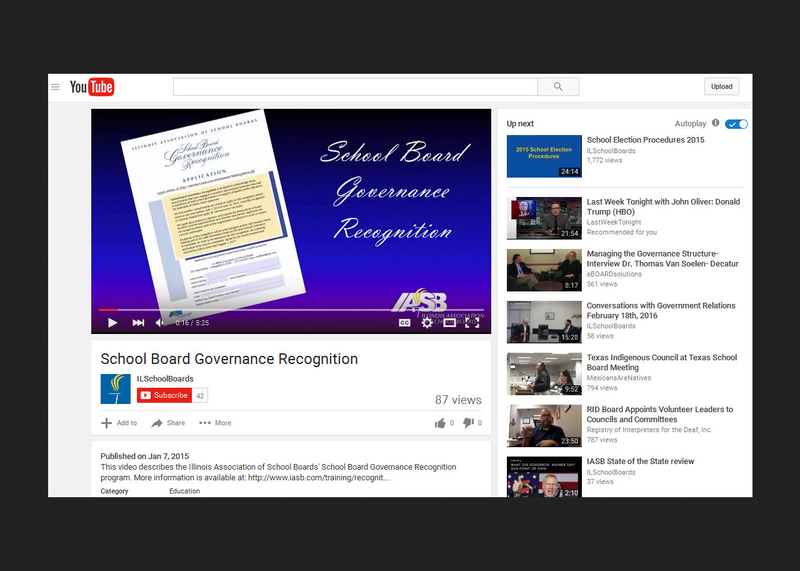 Comments and opinions of websites linked from this page do not necessarily represent the opinions of the Illinois Association of School Boards. Column: Is your school district keeping new teachers' contract secret?